Great programs use special teams as a weapon. They are aggressive when necessary but always give their offense and defense any advantage possible. But UH has chosen to basically ignore special teams. Specifically, UH has totally neutered our punt return team. In the first few weeks of this season, 56 teams are averaging 10 yards or more per punt return. UH is 115th at .5 yard per attempt. Yes, half a yard. As you can see from the video, the UH return team doesn’t even try to slow down defenders. Most times, the return team stops running while the ball is still in the air. Which explains why the Coogs have only attempted to return 2 of 18 punts. We don’t even want to return them. One of the two returns was fumbled (even though it was a fair catch) and the other was returned in the Tech game for 3 yards. Before the 3 yards at Tech, UH was 127th in the country at -2 return yards. That’s not good. That’s denying your offense a head start. Last year, UCF averaged 14.71 yards per return (17 returns). The national leader, Washington, averaged 18.32 yards per return and took 4 back for TDs. Could the UH offense have used 4 TDs last year? Or even 1 or 2? UH averaged 4.38 yards per return last year. In 61 punts, we returned 16 for 70 yards. – meaning 45 were fair caught or not fielded. 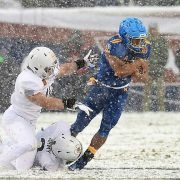 In 2017, the USF and Navy games accounted for half of UH’s punt returns (8) and 65% of return yards (45). In 6 games, UH didn’t even attempt a punt return. In the American, half the conference finished 99th or worse last season. 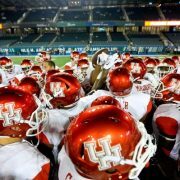 Four teams (all on UH’s 2017 & 2018 schedules) finished in the bottom 10. 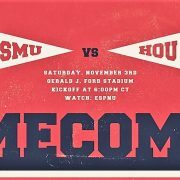 That means UH has even more incentive to be better in this regard – get an edge on the teams you play. Tulsa only returned 3 punts all year and ECU returned only 6 and they finished 128th and 129th (last) in the country in returns, respectively. They also combined for 5 wins. Tulsa, ECU, SMU, and Tulane combined for 49 punt return yards last season. Part of the problem is philosophy. Instead of teaching good mechanics on fielding a punt, using time-tested return methods, and being aggressive, we’ve chosen to ignore punt returning. 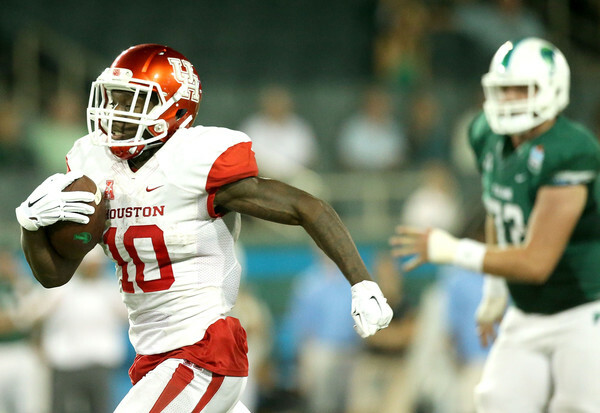 UH has not returned a punt for a touchdown since Demarcus Ayers did it at Tulane in 2015 (73 yards). 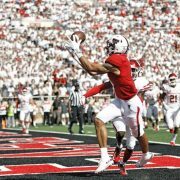 That was the the only “good” year UH punt return has had in the last 5. Our last blocked punt was earlier that year against Cincinnati. The other part of the problem is not having a dedicated special teams coach. James Casey has done a great job with our tight ends this season but he doesn’t have the time or the bandwidth to also be a good special teams coach. With 10 assistants, we should absolutely have a dedicated special teams coordinator. Because we’ve been mediocre in special teams for too long.